\You can now cancel out all those expensive piano pieces because these beginner piano songs will make any aspirant sound like a true virtuoso. The piano, one of the most wondrous invention of humanity has never failed to inspire our minds and to soothe our hearts. This magnificent instrument can be played even by inexperienced pianists who can impress us all with beginner piano songs that sound magnificent. An instrument so beloved, that it was considered one of a complete musical instrument after the cello. Learning how to play the piano is a long and complex journey, and it takes many years just to master the basics. However, anyone with a decent grasp of musical theory can become as passionate as Mozart and as masterful as De Hartmann with some good beginner piano songs. Here are the most beautifully written songs in the world, tunes that not only move hearts and inspire minds, but they also make mastering the piano a breeze. Possibly one of the most renowned pieces for beginners is Beethoven’s Ode to Joy (An die Freunde), the finishing movement of the Symphony No. 9 in D Minor, completed in 1824. Did you know that the lyrics of the Ode to Joy were not written by Beethoven? Actually, the beautiful lyrics of this ode were written back in 1785, and bear the mark of the Friedrich Schiller’s quill. As a piano piece, Ode to Joy is mostly recommended for small children or for adults who have just begun to study the piano. It’s a marvelous way to exercise scales, note duration, and how to play eight notes. Here’s the simplified score to the ode to joy. Alternatively, if you’re still having trouble finding the musical notes on the keyboard, you can try playing along with a tablature or downloading PC software like Guitar Pro that displays both tablatures and regular musical score. Try your hand at one of the greatest beginner piano songs! Also, here is a video example of how to play Ode to Joy like a concert pianist. Another good piece to start your musical odyssey is Greensleeves, a popular English Medieval Ballad, that dates back to the 16th century. Many musical and literary historians agree that this ballad was written by Henry VIII for Ann Boleyn, although there are others who state this ballad may pre-date Henry the VIII’s court. The piece is soothing indeed, with some accents of nostalgia, inviting the hearer to ponder on how love can become a burden if it’s not reciprocated. For beginners, this is an excellent opportunity to improve right-hand skills, and to master the Dorian scale. Here’s a video tutorial on how to play this amazing song. The Drunken Sailor belongs to the so-called sea chanty gender, or the tunes sailors used to sing every time they had work to do. The exact origin of this song cannot be determined, but some music historians tend to think that this music dates back to the 19th century, to the crews of military ships that sung similar tunes when they hauled rope around the deck. 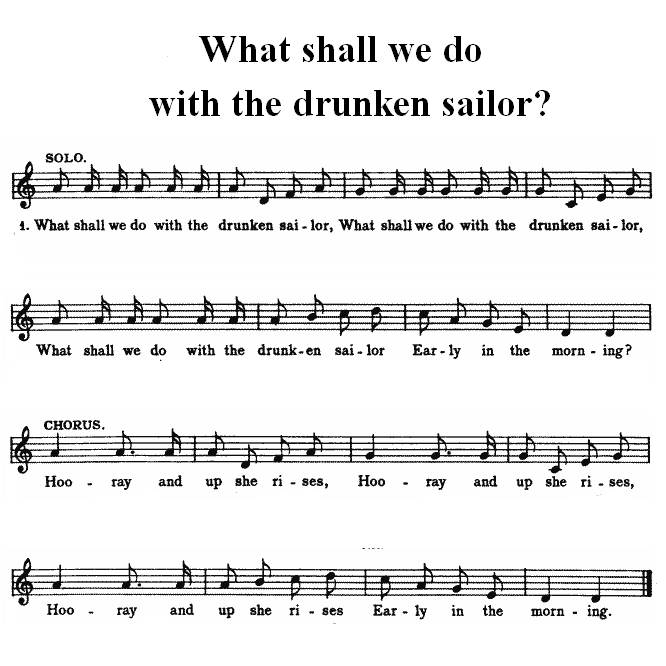 As part of our beginner songs category, the Drunken Sailor is an excellent piece which you can use to test your knowledge of sixteenth notes, C scales, and note duration. Composed by John Williams and played but the London Symphony Orchestra, the Star Wars main theme is probably one of the most iconic landmarks in pop culture. Anyone who’s ever viewed Star Wars knows how majestic the soundtrack can be. For those in love with Star Wars and that want a good jumpstart for their piano classes, here is the original score of the movie’s intro theme. Also known as the Serenade No.13 for a string in G Major, this outstanding piece was composed in 1787 by none other by Wolfgang Amadeus Mozart, the wonder-child, that impressed even Empress Maria Theresa. As a beginner piano song, Eine Kleine Nachtmusik, might seem a bit difficult at first, especially for a student that hasn’t mastered all the lessons concerning the duration of notes. For beginners, we recommend that you stick only to the first movement of the piece, and work your way up to the rest of the song. Here’s the musical sheet to the first movement of the song. Twinkle, Twinkle Little Star is perhaps one of the most popular nursery rhymes in the history. Published in the first half of the 19th century, this simple and soothing song continues to fascinate both children and adults. If you’re unsure of what to start with when taking piano lessons, then this song is perfect for you because it has a marvelous way of teaching the basics: left and right-hand postures, note duration, musical alterations, legato, basic C scale, and time signature. Here’s also a video tutorial of how to play this song without any problems. Written in 1966 by Paul McCartney and John Lennon, and sung by Ringo Starr, this is probably one of the most popular pop songs for piano beginners. In fact, this piece is so versatile, that it can easily be transposed for virtually any instrument, including piano, guitar, harmonica, and even harp. Lennon himself said in an interview that this piece is nothing more than a children’s song, arguing that the iconic yellow submarine is none other than Paul McCartney’s child. As a piano piece, this song is a good way of learning pauses, musical alterations, and how to work with different tempos. Here’s a video tutorial which you can use to learn this song in a jiffy. Don’t Cry for me Argentina is a sentimental ballad composed by Andrew Lloyd Webber and Paul Rice for Evita, a concept album that aired in 1976. The first version of this moving song was recorded in 1976, and it was sung by Julie Convington. However, the song became far more popular after it was sung by Madonna, in the 1996 film adaptation. As part of our beginner piano songs, this tune is fairly easy to play on the piano, as it requires only the right hand. Still, look out for those sudden changes in tempo and keeping even respites between notes. 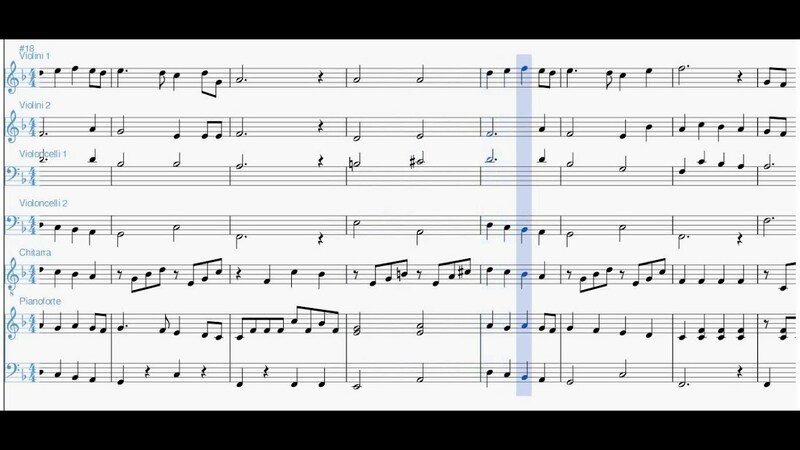 Here’s a video tutorial that contains the song’s sheet music. A sentimental song, placed in one of the most romantic settings than one is capable of imagining: 19th century Paris and the Opera House. The Music of the Night bears the signature of Andrew Lloyd Webber, and it is one of the most beautiful pieces Broadway has to offer. As a piano song for beginners, The Music of the Night is fairly easy to play, but you’ll have to watch out of those ever-changing tempos, as they give substance to the whole song. Here’s short and comprehensive video tutorial on how to play this song like a professional. And yet another Beatles tune hits out beginner piano songs list. Yesterday was written by Paul McCartney in 1965 after he dreamt that he actually composed the tune for his family and friends. As a beginner’s piece, this song is very easy to master. As a label of warning, before practicing this song, it would be a good idea to review the chord chapter in the music theory book, as this song has its share of them. Also, here’s a quick video tutorial on how to master this groovy song. The song was originally written in 1963 by a vocal group from the United States of America called The Exciters. However, the song gained popularity after it was covered by Manfred Mann, a British Band, in 1964. This is a great song for beginners since it inspires the same 60s-related euphoria and Joyeux de Vivre. Furthermore, apart from being a great tune for piano beginners, it’s also going well with guitar enthusiasts. If you have a friend or family member who’s taking a guitar lesson, ask him or her if he wants to chip in and play along. I Dreamed a Dream is a song from the soundtrack of the musical adaptation of Hugo’s novel, Les Miserables. The music was composed by Claude-Michel Schonberg, and the lyrics are a spin-off after the libretto of the original play. As a tune for beginners, I Dreamed a Dream is very tricky to master than other songs, since it as many legatos, licks, pauses, tempo shifts, and chord. Consider revising that chapter on musical alterations before attempting to play this song. Composed by Don Felder, Don Henley and Glenn Frey, Hotel California has seen the light of day in February 1977. The song was well received by both fans and critics, receiving many awards over the time, including for best lyrics and best guitar solo. For a piano player, this song does a have a couple of limitations, since the musical score was written exclusively for a 12-string acoustic. However, you can always use a good transposition software life Guitar Pro, and play the vocal part on your piano. It’s easy to follow and great for a beginner. Also known as the love song from the movies The Godfather, Nino Rota wrote this melody in 1972. Over the years, it had many versions, including a Ukrainian spin-off written for the musical Song, is Always with Us. For beginners, this song is very easy to play, regardless of how well you’ve mastered the basics. Furthermore, it has a soothing, romantic-like sound, and playing it becomes a guilty pleasure. Originally named The Sounds of Silence, this song was composed by Simon and Garfunkel over a period of several months. Although the first version of the song was not received that well after it was aired, the American public soon came to realize the potential of the musical duet. The song has gained a boost in popularity after it featured on the soundtrack of Watchmen and after the heavy metal band Disturbed made a cover after it in 2015. As part of our beginner piano songs, this piece is incredibly easy to play on your keyboard, and it works with both acoustic grand pianos and electrical keyboards. The Claire de Lune is the third movement of Debussy’s symphonic poem entitled Suite bergamasque. Debussy’s third movement was inspired by the poem of the same name, written by the French poet Paul Verlaine in 1898. Debussy’s symphonic poem is hard to master, but the Claire de Lune or the third movement is very easy which makes it one of the best beginner piano songs. Written by Richard Wagner as part of his opera Lohengrin, the Bridal Chorus, has become the iconic song of each Western Wedding. If you’re a beginner piano player, then this is excellent opportunity to learn more about how to take advantage of chords, respites, and tempos. The song was originally composed by Jon Randall and Bill Anderson, but recorded by Brad Paisley and Alison Krauss as part of their duo album entitled Mud on Tires. Whiskey Lullaby is a sad recollection of how separation, infidelity, and war can scar a couple, leading to ruin and then death. Being a dramatic piece, this song features the B minor chord, a musical arrangement that is easy to master and to play. As a general advice, when playing this song on the piano, be careful to put emphasis on each note, as it increases the dramatic effect. The original song was written and recorded by pop artist Prince as part of his album called The Family. However, the song observed a boost in popularity, after being rearranged and recorded by Sinead O’Connor, an Irish musician, and composer. For beginners, this is a song easy to master, and it sounds great on an acoustic grand piano. Just be careful to review your music theory on licks and legatos before practicing the song. Featuring on the soundtrack of The Hobbit, a fantasy movie inspired by Tolkien’s novel of the same name, the Misty Mountains is one of the deepest and moving song you’ll ever hear. It is also one of the best beginner piano songs you could attempt playing. This song is excellent for a beginner pianist, as it has only a few notes and many respites. To really boost up your musical performance, you can try to sing along while playing the song on your piano. For the best results, use an acoustic grand piano instead of an electric one. Misty Mountains is one of the best beginner piano songs to try when you’re just getting started with your new hobby. These are the most popular beginner piano songs. Before attempting to play any of them, consider revising your musical theory. Furthermore, also do try to remember that you don’t have to play intricate pieces to sound like a professional concert pianist.